150# thru 2,500# Flange Ratings - This standard covers pressure-temperature ratings, materials, dimensions, tolerances, marking, testing and methods of designating openings for pipe flanges and flanged fittings. Included are: flanges with rating class designations of 150, 300, 400, 600, 900 and 2500. Blind Flange - A blind flange is a flange that has no bore, and is used to close ends of piping systems. The blind flange is sometimes machined to accept a pipe of the nominal size to which reduction is being made. 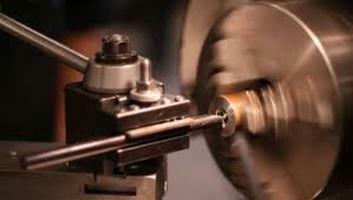 The reduction can be either threaded or welded. Orifice Plate - An orifice plate is a device used to measure or restrict the rate of fluid flow. It uses the same principle as a Venturi nozzle, namely Bernoulli's principle, which describes the relationship between speed of fluid flow and the pressure of the fluid. When the speed of the fluid increases, the pressure of the fluid decreases, and vice versa. An orifice plate is basically a thin plate with a hole in the middle. Orifice Flange - Similar to an orifice plate, the function of an orifice flange is to meter the flow of liquids and gases through a pipeline. Slip-On Flange - A slip-on flange is a flange that is bored slightly larger than the outer diameter of the matching pipe. 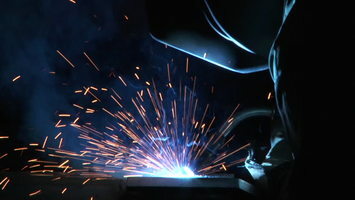 The pipe slips into the flange prior to welding both inside and outside. Socket Weld Flange - The flange is similar to a slip-on flange, except there is a bore and a counter-bore. The counter-bore is slightly larger than the outer diameter of the matching pipe, allowing the pipe to be inserted. A restriction is built into the bottom of the bore, which acts as a shoulder for the pipe to rest on, and has the same ID of matching pipe. Weld Neck Flange - Weld neck flanges are drilled (machined) with the wall thickness of the flange having the same dimensions of the matching pipe. They are normally used for high-pressure and cold or hot temperatures. MIL-I-45208 - establishes requirements for contractors' inspection systems. These requirements pertain to the inspections and tests necessary to substantiate product conformance to drawings, specifications and contract requirements and to all inspection and tests required by the contract. ISO 9001 - ISO 9000 is a family of standards for quality management systems. ISO 9000 is maintained by the ISO, the International Organization for Standardization and is administered by accreditation and certification bodies. A company or organization that has been independently audited and certified to be in conformance with ISO 9001 may publicly state that it is "ISO 9001 certified" or "ISO 9001 registered." Certification to an ISO 9000 standard does not guarantee the compliance (and therefore the quality) of end products and services. Rather, it certifies that consistent business processes are being applied. AS9100 - AS9100 is a widely adopted and standardized quality management system for the aerospace industry. It was introduced by the Society of Automotive Engineers in the Americas and the European Association of Aerospace Industries in Europe in October 1999. AS9100 replaces the earlier AS9000 and fully incorporates the entirety of the current version of ISO 9000, while adding additional requirements relating to quality and safety. All major aerospace manufacturers and suppliers worldwide require compliance and/or registration to AS9100 as a condition of doing business with them. Our cage code is 2N865. Navy Nuclear - Requirements for Naval nuclear propulsion plant components are far more stringent than needed for civilian products. Unlike commercial nuclear power plants, Naval reactors must be rugged and resilient enough to withstand decades of rigorous operations at sea, subject to a ship's pitching and rolling rapidly--changing demands for power, possibly under battle conditions. 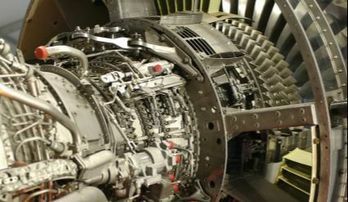 These conditions, combined with the harsh environment within a reactor plant, which subjects components and materials to the long-term effects of irradiation, corrosion, high temperature and pressure, all necessitate an active, thorough and far-sighted technology effort to verify reactor operation and enhance the reliability of operating plants, as well as to ensure Naval nuclear propulsion technology provides the best options for future needs. Carbon Steel - A steel whose properties are determined primarily by the amount of carbon present. Apart from iron and carbon, manganese up to 1.5% may be present as well as residual amounts of alloying elements such as nickel, chromium, molybdenum, and others. It is when one of more alloying elements are added in sufficient amount that it is classed as an alloy steel. Alloy Steel - A steel to which one or more alloying elements other than carbon have been deliberately added (e.g. chromium, nickel, molybdenum) to achieve a particular physical property. Nickel-Copper Alloys - The alloys are sometimes referred to as MONEL or NICORROS and contain nickel with copper and small amounts of iron and manganese. A typical alloy is the 400 grade (UNS N04400). This contains 63% nickel minimum, 28-34% copper and a maximum of 2% manganese and 2.5% iron. These alloys are used when a higher strength is required compared to pure nickel. Copper-Nickel Alloys - The copper-nickel alloys are single-phased throughout the full range of compositions and many standard alloys exist within this range, usually with small additions of other elements for special purposes. The two most popular of the copper rich alloys contain 10% or 30% nickel. Inconel - Inconel is a registered trademark of Specialty Metals Corporation, referring to a family of austentic nickel-based super-alloys. Inconel alloys are oxidation and corrosion resistant materials well-suited for service in extreme environments. Bronze - Bronze is a metal alloy produced by blending copper and tin in various amounts, depending on the application. Bronze is often confused with Brass, an alloy of copper and zinc, but the two alloys have different properties and are used to different purposes. In addition, bronze is much harder than brass. Stainless Steel - Stainless Steel is defined as an iron-carbon alloy with a minimum of 11.5% chromium content. This material is also called corrosion-resistant steel when it is not detailed as to its exact alloy type and grade. Stainless steels have a higher resistance to oxidation (rust) and corrosion in many natural and man-made environments.